Today’s culture surrounding retail and how consumers shop seems to be rather primitive when compared to the technological advances that have occurred in many other areas of the fashion industry. Fabrics and textiles are becoming far more innovative, thanks to the use of smart fabrics and wearables, while designers are toying with the power of livestreams and social media when it comes to marketing their brands and products. Retail, on the other hand, hasn’t really seen much of an advance when it comes to in-store physical shopping. Why aren’t brands and companies investing in software that could revolutionize the way consumers shop for their clothes? The future for almost any industry right now is personalization. More and more consumers want things that are tailor-made for their preferences and needs, and customization is becoming an increasingly popular product for companies to offer. The retail industry understands this – imagine how nice it would be to walk into a store and have a sales associate already know which items to hand you. These offerings would be based, of course, on previous purchases, but also on your specific desires (material or fit preferences). It would cut down on the inefficient and often stressful nature of in-store shopping. This type of technology is not entirely far-fetched, as there are companies that can and do deliver these highly personalized and effective recommendations, but the tech has been slow make the jump to the retail world. This level of customization could increase customer satisfaction and loyalty to a particular brand; shoppers are far more likely to return to stores that can offer them the perks that only personalization brings. As a result,it’s important for retailers to focus on this technology, but it’s also important for them to work with consumers when it comes to addressing privacy and security concerns. While most consumers would love to have a personalized experience, they are wary about allowing brands access to such private information and data about their shopping preferences and needs. There is a “creepiness” factor – just how much data will these companies collect? As a result, request for information to enhance personalization should be presented in an “opt-in” manner, to allow those consumers who do not wish to participate an option to protect privacy. In addition, retailers can look for different methods of distribution; instead of suggestions coming from a sales associate, they could come via a mobile application. This is where artificial intelligence and big data can come into play, as their capabilities are perfect for fine-tuning this type of retail experience. AI can help match consumer preferences with a certain product depending on its characteristics, while retailers can analyze the data generated from their sales in order to predict which trends might be popular and which might not. All of this, of course, can only be implemented in a way that will not spark resistance, and changing culture is perhaps the hardest part of implementing any form of technology. Retailers simply have to convince consumers of the benefits that can come with this type of software. And its ability to simplify their shopping experiences. The retail industry must consider adapting, or they will be put out of business by their online competitors. 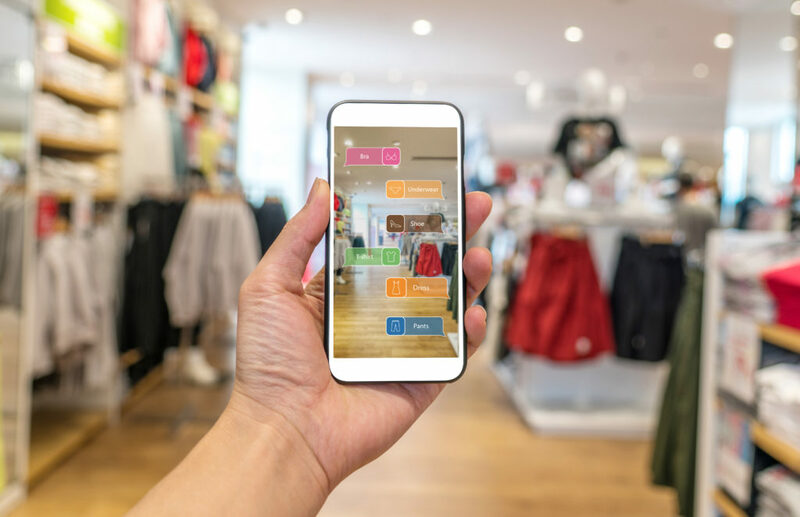 With the plethora of options now offered through the Internet, consumers need an enticing reason to visit brick-and-mortar shops, creating the perfect incentive for the retail industry to start backing innovative and futuristic tech. In all, while there are concerns surrounding privacy and security, it seems that the retail world is heading towards a culture built around personalized and customized shopping experiences powered by smart software. If industry leaders can convince consumers that it’s in their best interest to allow this type of technology into their lives, the future of retail could look very different from what it currently is today. Staying alive in the Fashion Industry has always been tough. It is one of the most competitive environments in commerce. The apparel companies and designers who once thrived did so by having vison. They knew what their customers wanted, even before they knew what they wanted. In the past, intuition, business judgment, and vision successfully introduced the newest fashion trends to the runway, and then to the market. Victory in Fashion was once an art. Visionary designers led the way into the latest trends and fads as if only they possessed crystal balls. What they produced sold, and fast. The good news, and the bad news, is that victory in Fashion is no longer just an art. It is also a science. In fact, merging the two is now necessary for survival in the Fashion Industry today. Today, prospering Fashion companies must have two things: Vision and Real-Time Information. 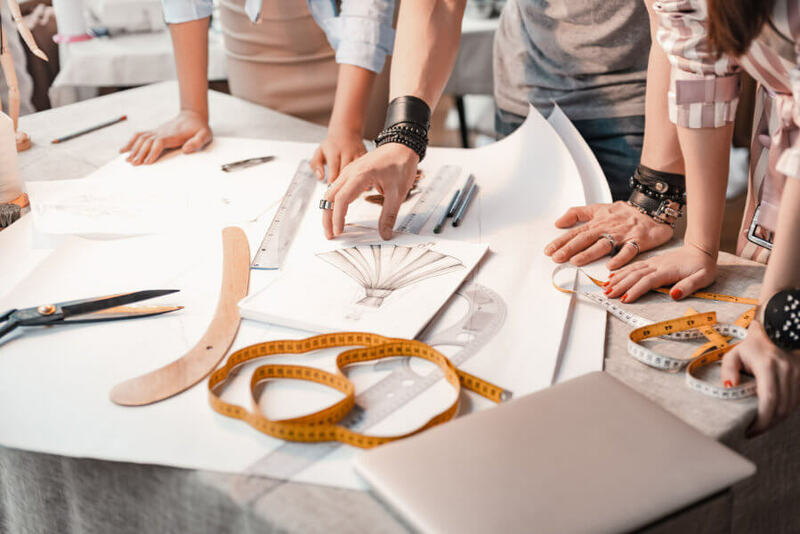 Creativity is still a must, but apparel companies must also know exactly what is happening, at all times, from design, to manufacturing, to fulfillment. Where is the inventory, how much of it is on the shelves at this very moment, when is it moving and to where? What garments in particular are customers buying, and in which sizes and colors? There is no time for mistakes. The apparel companies that have this real-time information are constantly taking design concepts to consumers faster and faster, and perhaps most importantly, they are profiting by most accurately predicting demand and fulfilling it. They are leaving little room for their competition to bear the cost of waste, obsolete inventory, chargebacks, and even Fashion prediction and guesswork. Apparel companies and designers without Real-Time information have no choice but to implement new technology or to upgrade their legacy systems. In short, this is now a world that responds immediately to consumer demand rather than first predicting what consumer demand will be. This is now a world where to stay alive, one must live in harmony with the tech giants. It is arguable that Amazon alone has created an environment in which Fashion companies have no choice but to deliver what the customer wants to the customer’s door, preferably not tomorrow, but yesterday. The only way to do this is through turning a lot of data (Big Data) into real-time information. 1. Accurate real-time supply and demand prediction. What is happening with product and materials, right now? In today’s climate, with such short inventory cycles, there needs to be complete visibility into the supply chain. With the right system in place, an apparel company can predict future consumer demand by using technology that allows immediate visibility into materials, inventory and product flow. For example, with the right system in place, a manager can see what the consumer or retailer is buying today and then make relevant purchasing decisions in real time. Without the right system in place, procurement and fulfillment becomes guesswork. Buying decisions are verified long after the fact, sometimes months later when the old legacy system reports are finally produced and delivered by the accounting department. 2. Real-time purchasing decisions. When real-time purchasing decisions can be made, apparel companies minimize the cost of materials, an expense which is nearly always the greatest burden to managing cash flow. With real-time purchasing at one’s fingertips, via a vendor portal system or module, vendors submit bids or quotes in a matter of minutes. There is no wait time. The best prices are known and acted upon without any guesswork. 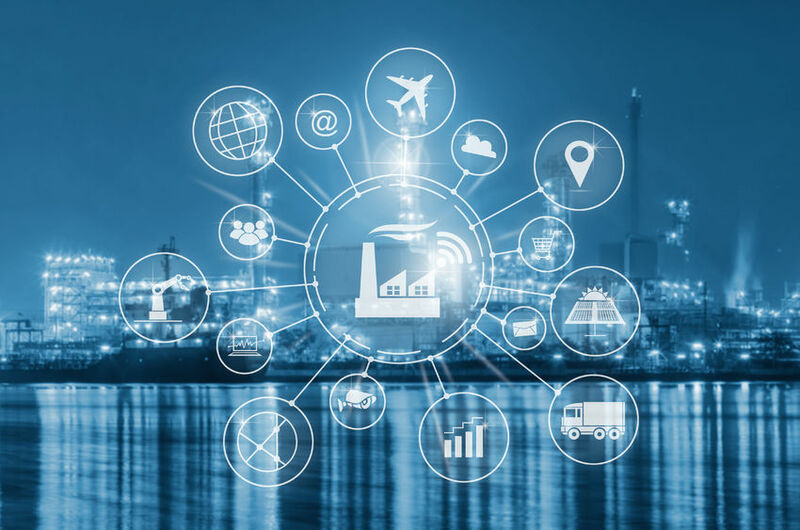 For many companies, success is found in a real-time competitive bidding environment that only the right technology can provide. Real-time bidding competition often gets the best materials pricing. 3. Predictive analytics and Business Intelligence (BI). It should be highlighted that just having real-time data, or the information derived from it, does not currently provide the most competitive and leading edge real-time information. The best technology in the market now not only provides visibility into real-time information, but also turns this information into graphs, data-charts, and predictive analytics. In other words, the best BI tools visually (in a snapshot) show exactly where inventory movement is lagging and where warehouse shelves are being depleted. They show in pictures exactly how much of every item, and in which geographies, materials and inventory are moving from the shelves, to the retailer, and ultimately into the hands of the consumer.